First Challenge for Certified Kubernetes Application Developer (CKAD)! Hello, I’m Masaya Aoyama (@amsy810) at CyberAgent, Inc (Ad-Technology Division). CKAD is beta release now, so the contents are based on curriculam. I have already passed Certified Kubernetes Administrator (CKA) at #138, and CyberAgent has 13 CKA holders since I first passed the CKA! 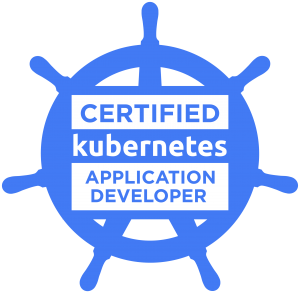 And so, I took a exam “Certified Kubernetes Application Developer (CKAD)” today (4 hours ago) for BETA testing. Maybe, I took a first exam in Japan! First problem, CKAD registration link does not work. 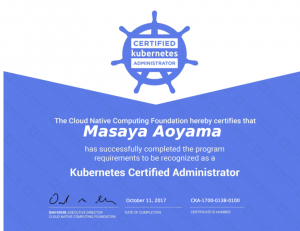 @CloudNativeFdn Register for the CKAD exam does not work. But @kaitlyn_barnard announce at Slack and Twitter to resolve the problem immediately. Thanks a lot and best regards! Please try this link: https://t.co/0rrddVtXBk. Let me know if you have any further issues. So I can reserve the exam…? My CKA exam has 4 hours for testing, but now CKA exam has 3 hours. But CKAD exam has only 2 hours for testing. It is easy for me to take a exam. The balance between the number of questions and time was good for me. We need create YAML manifest in both exam, but CKAD is more practical than CKA. But CKA has cluster installation question, so CKA is more difficult for me. If you want to get more detailed curriculum, please watch THIS. And there are more information (exam tips and FAQ by CNCF). At the CKAD/CKA exam, we cannot browse almost all web site. We can browse only “kubernetes.io” official documentations. So we cannot use original documentations. In the previous CKA exam, we can browse any documentations. Candidates may use their Chrome or Chromium browser to open one additional tab in order to access assets on the kubernetes.io domain assets for reference during the exam. No other tabs may be opened, no other sites may be navigated to, and only kubernetes.io assets may be accessed. The allowed sites above may contain links that point to external sites. It is the responsibility of the candidate not to click on any links that cause them to navigate to a domain that is not allowed. Maybe we can use favorite feature of Google Chrome. If you want, please prepare index. I passed CKAD exam (CKAD-1800-0002-0100). Maybe second in the world. My job is software engineer, system engineer and system architect. We implemented GKE-like Container Platform “AKE(Adtech Container Engine)” by only 2 people on on-premise datacenter. AKE is Kubernetes as a Service on OpenStack. 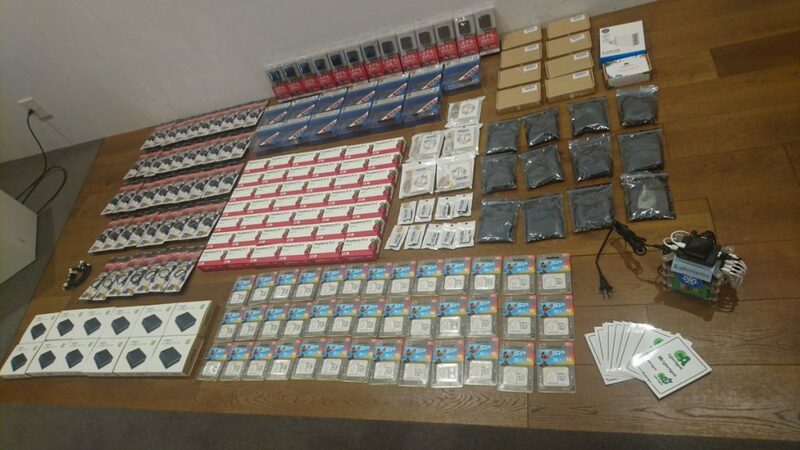 My hobby is Kubernetes! 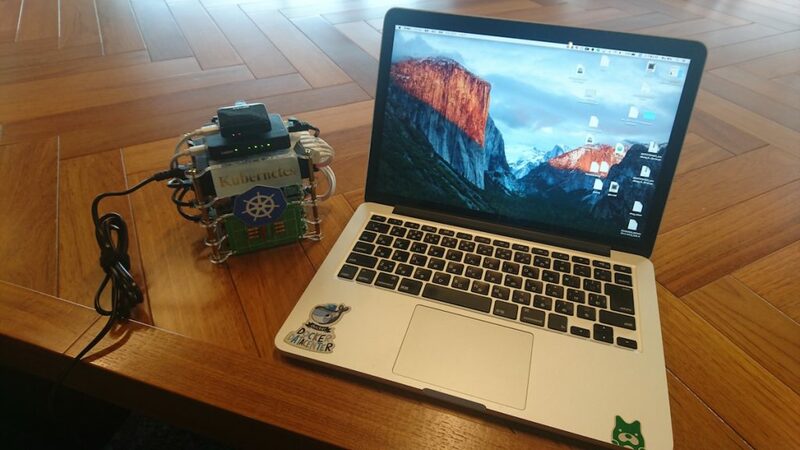 And I love Kubernetes now! 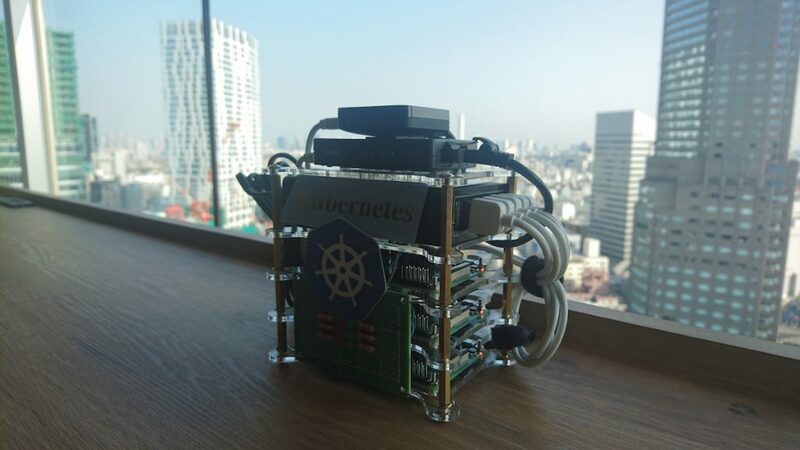 This Kubernetes cluster is really instagrammable! And I will attend the KubeCon + CloudNativeCon 2018 EU and I organize a social gathering for Japanese! Container technology is actively used even in Japan! 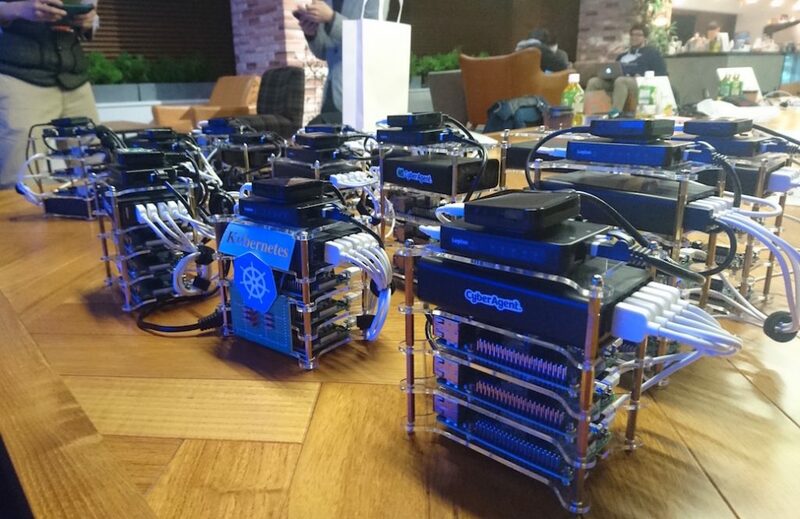 See you later at KubeCon!